This rustic vineyard wedding at a beautiful barn in Santa Ynez, California features a yellow, champagne and sage green color palette, a vintage airstream, and lovely bouquets of baby's breath and yellow mums. Tiana and Brandon were wed in a gorgeous Southern California ceremony that perfectly coincided with the Harvest Moon suspended overhead while Belathée Photography captured stunning images to illustrate the whole sweet, memorable day to perfection! A dapper military man and his bride in pink Vera Wang? You had me at hello! Enjoy the stunning details at this rustic chic Texas wedding at The Inn at Chachalaca Bend in Los Fresnos, Texas with photography by Erica Velasco. 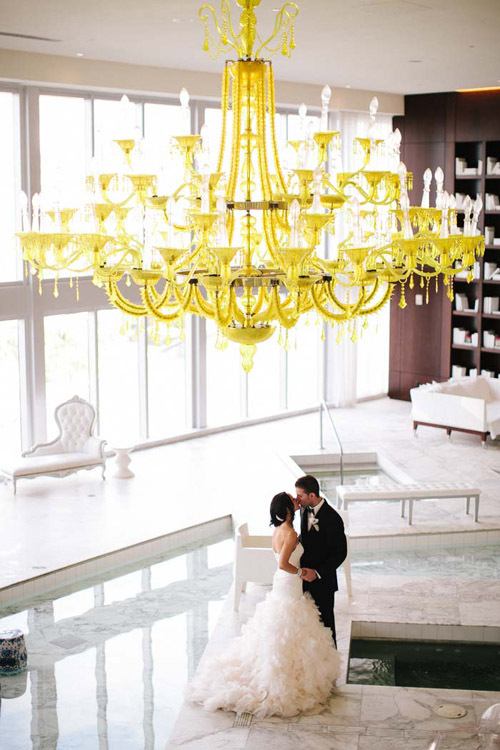 Weddings in Las Vegas come in all shapes and sizes, and I love this sweet, stylish and intimate destination wedding at the fabulous 2810 Private Resort! 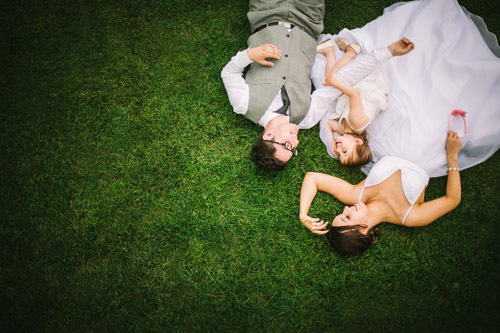 Shot by wedding photographer Brian Saculles Photography. 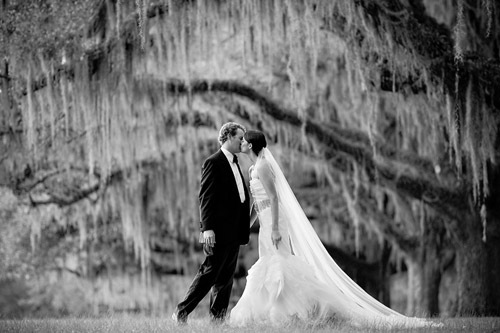 Evan and Brian's gorgeous southern plantation wedding at the incredible Glen Arven Country Club in Thomasville, GA has a fresh color palette, sweet blossoms, and gorgeous fashion, but I'll just let the beautiful photos tell the story photographed by Browne Photography. 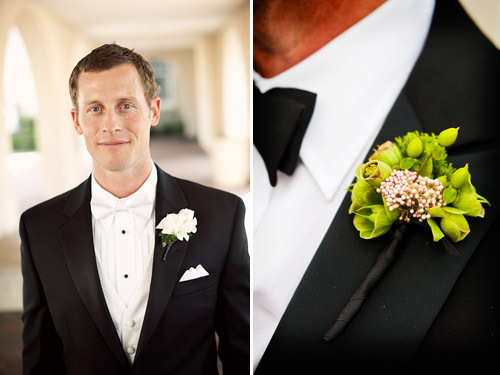 We are so excited about our newest Fashion Report, The Groom - six sharp looks for the modern man.Today I thought I'd address a common question that comes up during wedding season: how do you properly pin on those sweet little boutonnieres that your florist just delivered? 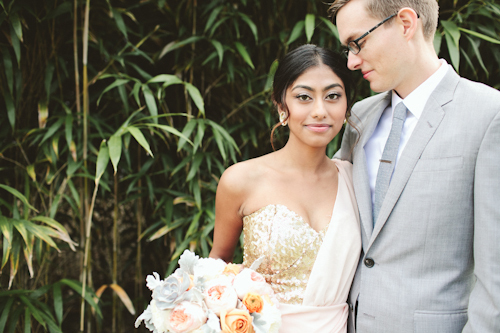 Today we have a gorgeous wedding inspiration shoot to share with you. 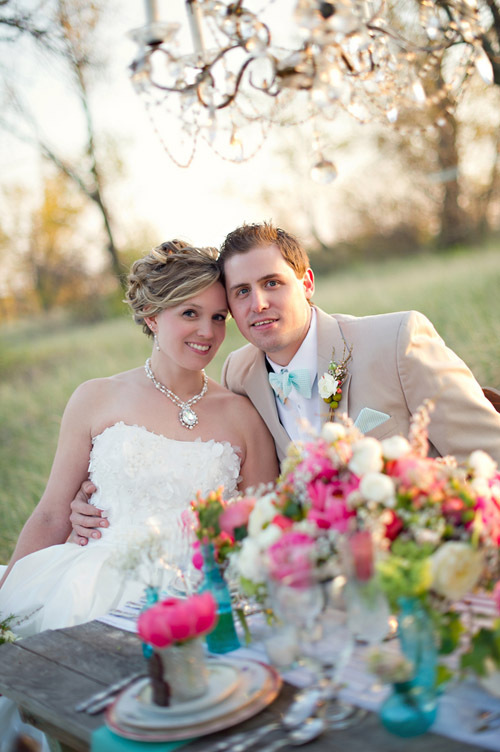 Created by Summer Jean Photography and White Dress Events, the vintage coral and turquoise wedding decor ideas feel like summer and romance all rolled into one, and I love how the floral motif practically jumps off the floral arrangements right onto the beautiful papers and vintage plates!